A visit to Vincenzo’s orchards is a testimonial to the intertwining history of this land and his family. 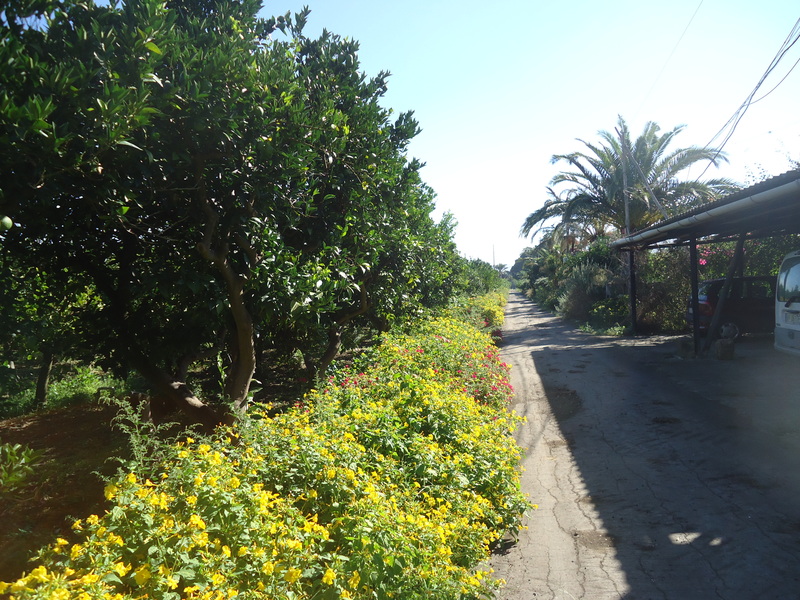 Vincenzo’s great- great- grandfather purchased this land and his family has owned and cultivated it for five generations. It was purchased in the mid 1800’s and is located not far from the town of Lentini, on the eastern part of Sicily, in the municipality of Catania. The Azienda Agricola Il Barbajanni is now owned by Vincenzo Vacante. 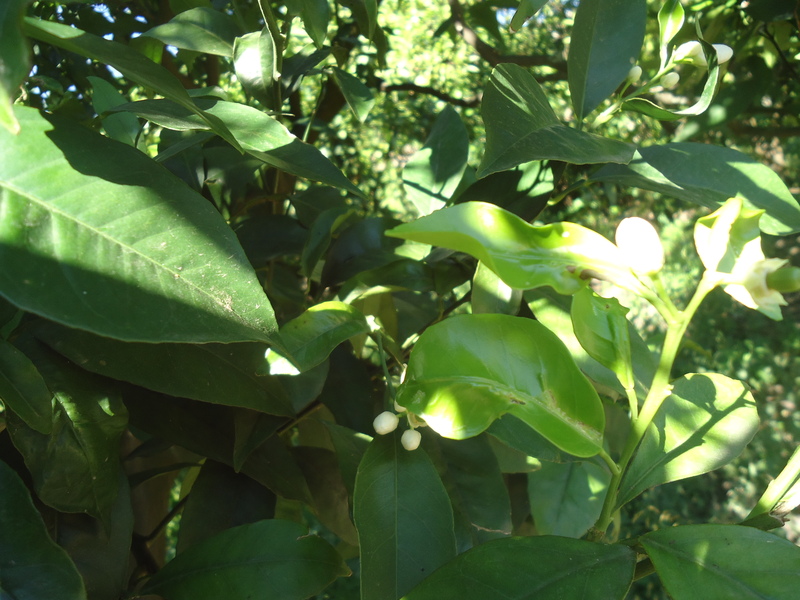 His eleven hectares of orchards are mainly oranges of many varieties, Tarocco, Sanguinello, Ovale, Valencia and Moro. 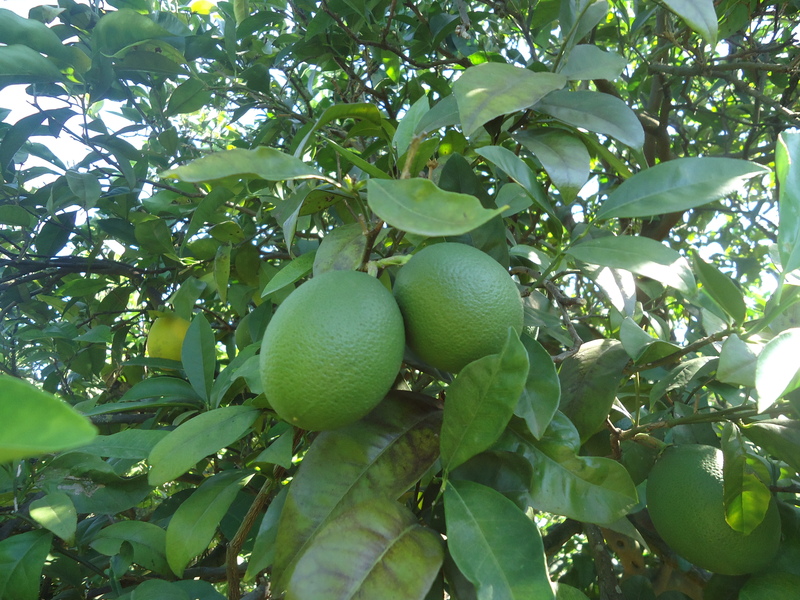 Moro is a typical orange variety of the town of Lentini. 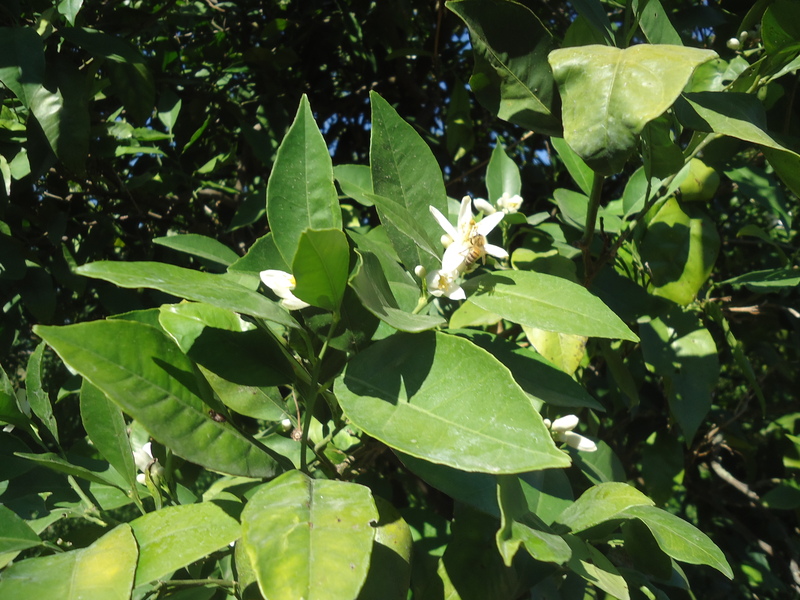 The pictures below show the zagara flower, the name for orange blossom in Italian, and its steps from bud, blossom, to fruit. We walked around the property and Vincenzo explained the irrigation system and other activities taking place on his property. 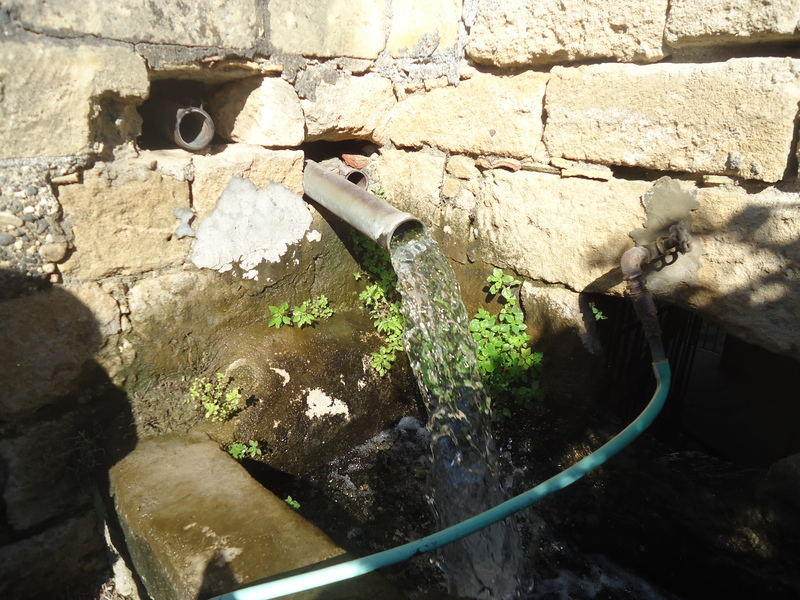 Three wells provide water to the “gebbia”, the Sicilian term for water holding tank. 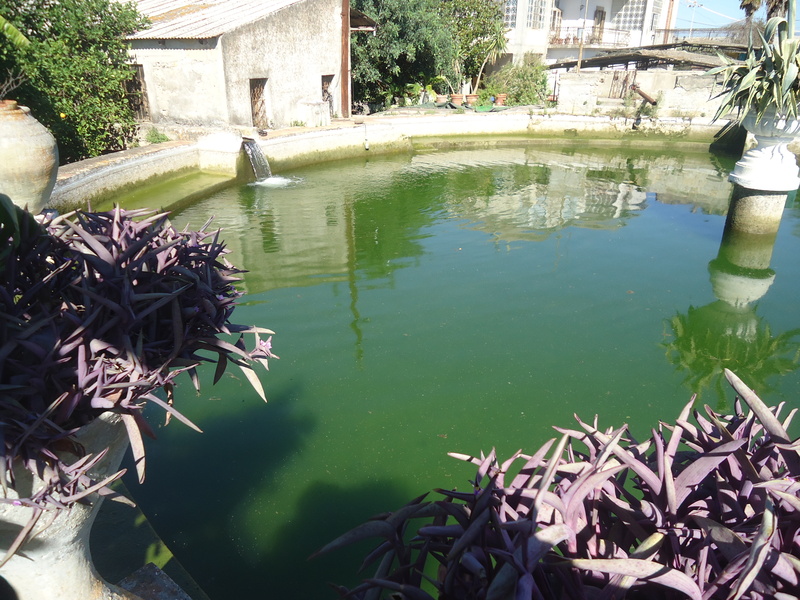 From this tank, the water flows to the three irrigation systems running through the property. During this season, Vincenzo is irrigating every day and it takes 12 to 13 days to complete one entire round of all the trees on the property. 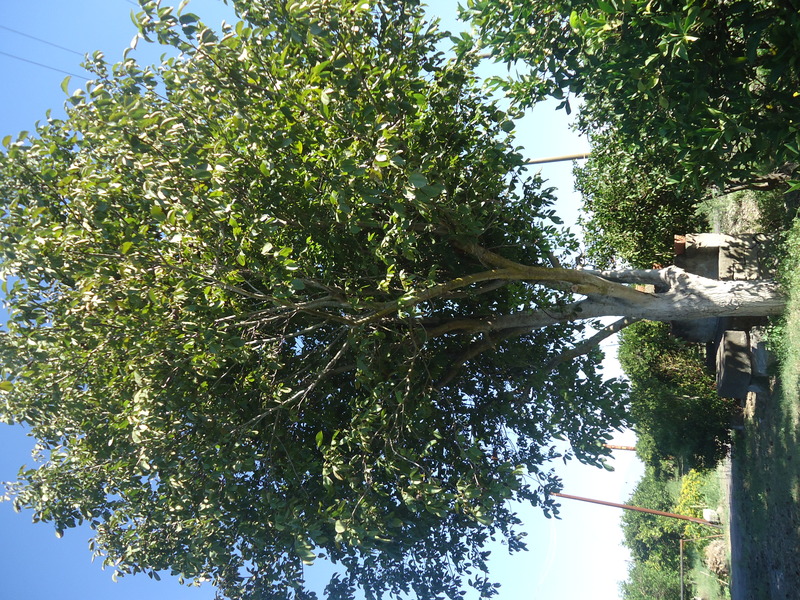 With regards to some family traditions tied to this land, below is the chestnut tree planted by Vincenzo’s father when Vincenzo’s son was born. 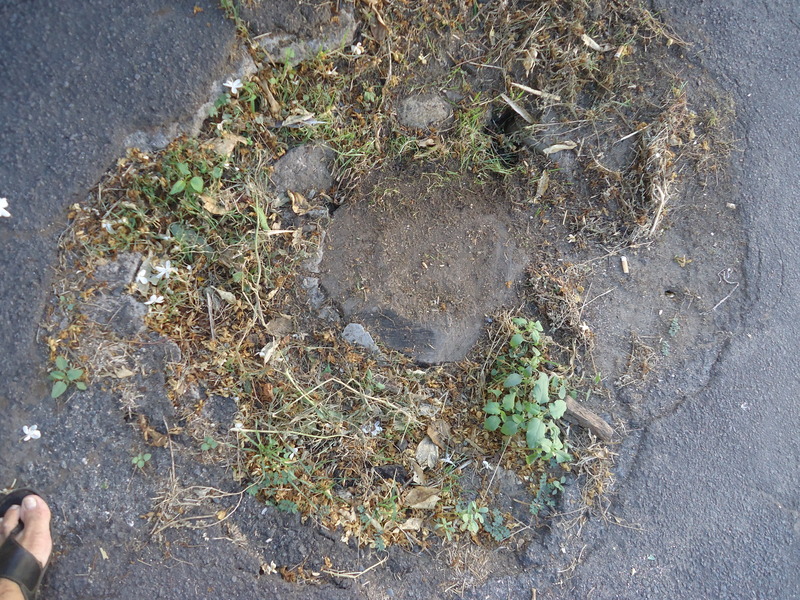 It had been planted when Vincenzo’s father was born and it died at the time of Father’s death. 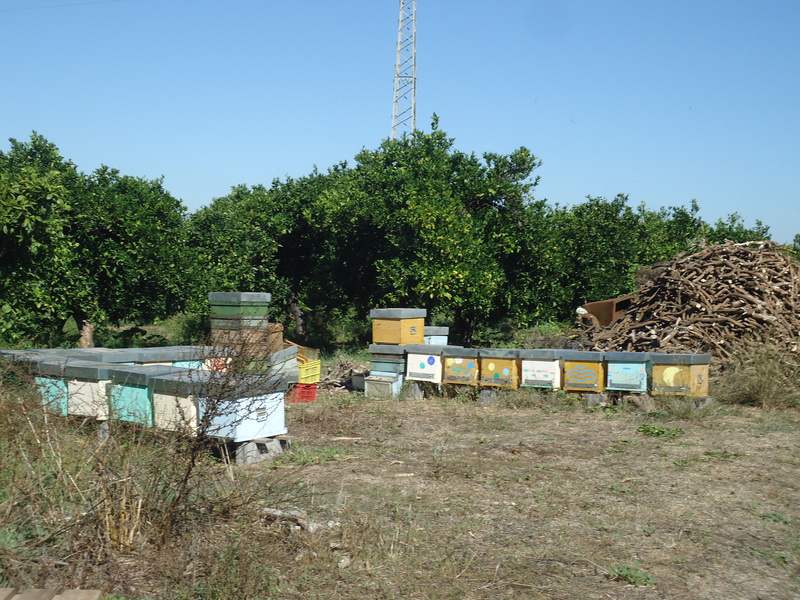 Some honey growers come to this property during the blooming season and they stay about 20 days to produce honey; there is also a permanent beehive station kept here by a German who is carrying out some research. As a child, Vincenzo was quite displeased to see that the dogs on the property were kept tied and only one at a time loose, at night, to act as a guard to the property. Consequently, he stated that as soon as he had some authority on the property, he made sure that all his dogs would run free. 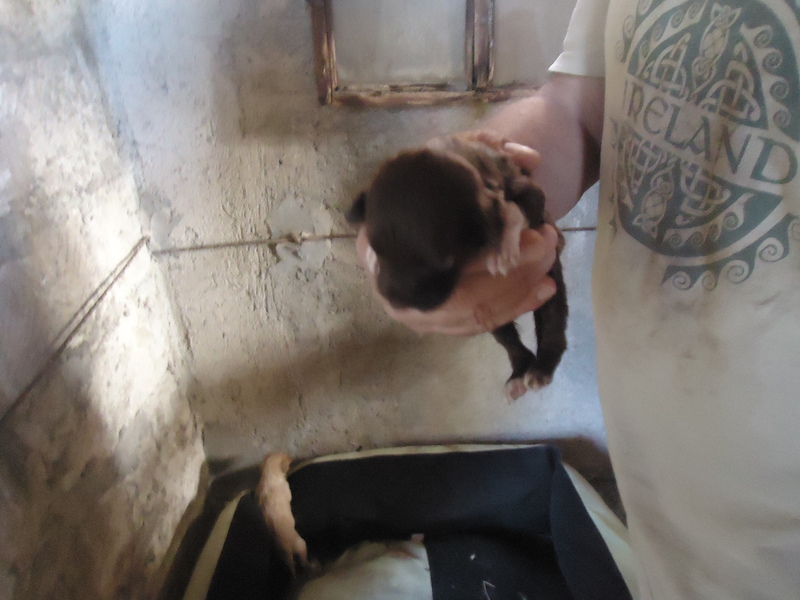 He recently rescued some puppies that were abandoned on his property and we visited them before I left. 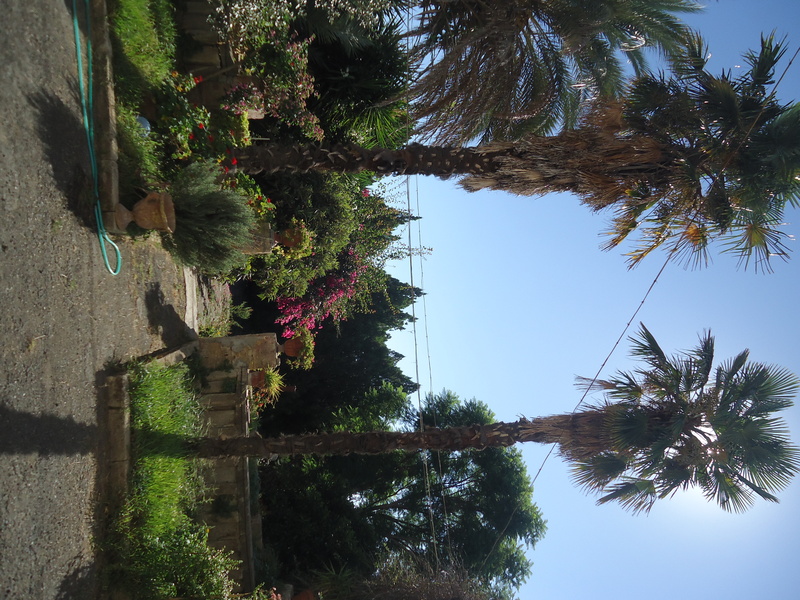 There are many palm trees on the property. 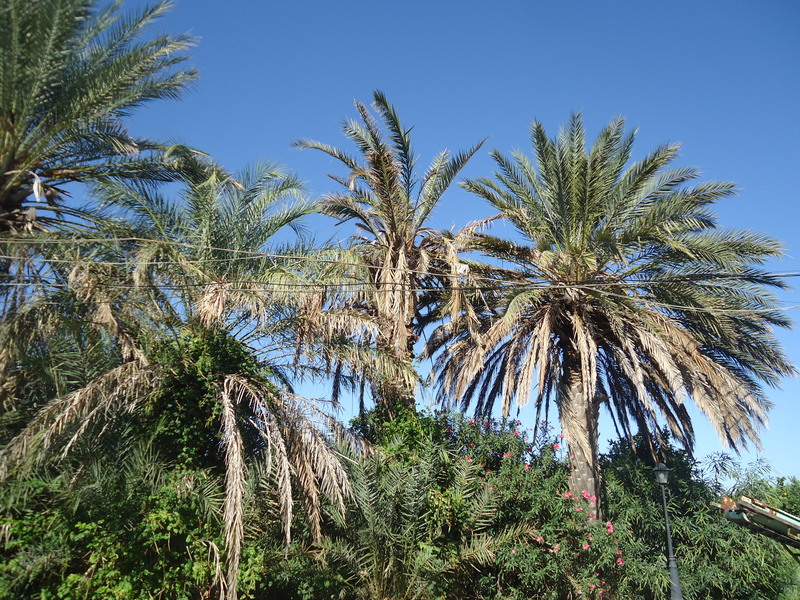 Unfortunately, many of them are dying, as they have been attacked by the Red Palm Weevil (Punteruolo Rosso in Italian). It is so sad to see this happening here and in other areas of the island. Finally, as I was leaving, I was hit by the fragrance of this wonderful jasmine, one of my favourite aromas. This fragrance is tied to my childhood memories! Yes, Pamela, it is wonderful. Grazie Rosanna, non ho avuto bisogno del traduttore. Wow! Che bello che non hai avuto bisogno del traduttore! Grazie a te per la tua cortese ospitalita’. I was wondering about the last picture you have of the jamine tree. 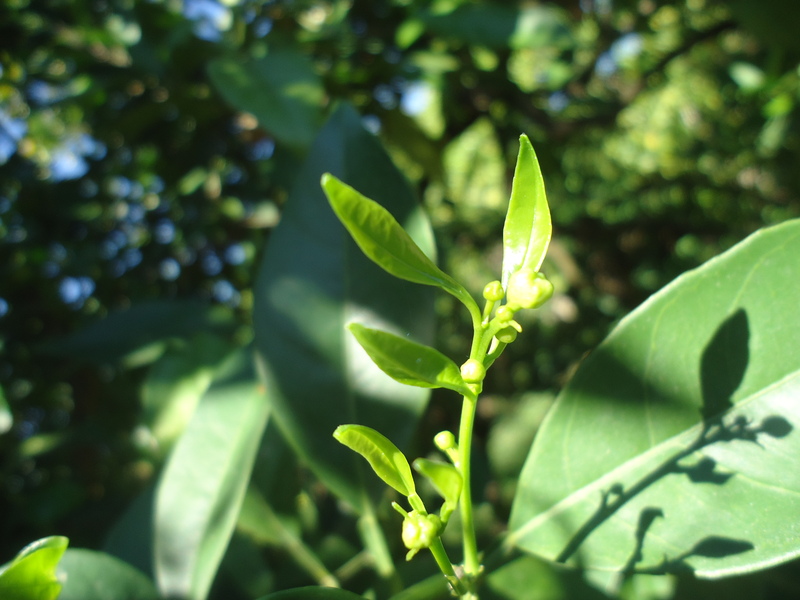 i know its a jasmine tree, but there are 200 differents jasmine plants..What is the exact name?.They dont have any in the united states. Is there a website i can order it from…I have inquiring about this plant and i cant find it anywhere. I am writing to you from the USA and will be back in Sicily soon. I understand your question as I have smelled different types of jasmin trees in Sicily but couldn’t tell you their names at this time. I will do some research when I return to Sicily and get back to you. Maybe I have not looked in the right places in the USA, but I have never smelled a jasmin tree in the USA with the same frangrance as those in Sicily. I did not know there were 200 hunmdred types of jasmin! Wow! I can totally relate to what you are describing. I, too, have childhood memories of the jasmine fragrance being stronger at night in Sicily! I will definitely do the research when I return to Sicily and get back to you. BEST!!!! I am in Sicily and just visited a garden center to inquire on the jasmine. The most fragrant jasmine plant found in Sicily is Jasminum Grandiflorum. Here it blooms May-Dec. 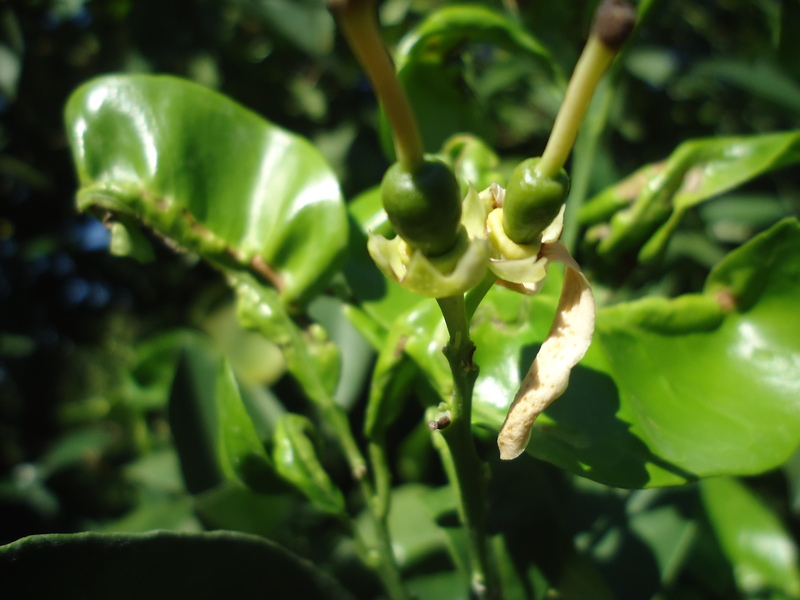 The plant is originally from China and does well in zone 7, reaching a height of 10 meters. Another type of jasmine which is found in Sicily is the Jasminum Polyanthum; it is described having a stronger frangrance than the previous one but the fragrance is not as gentle. It does well in zone 8. 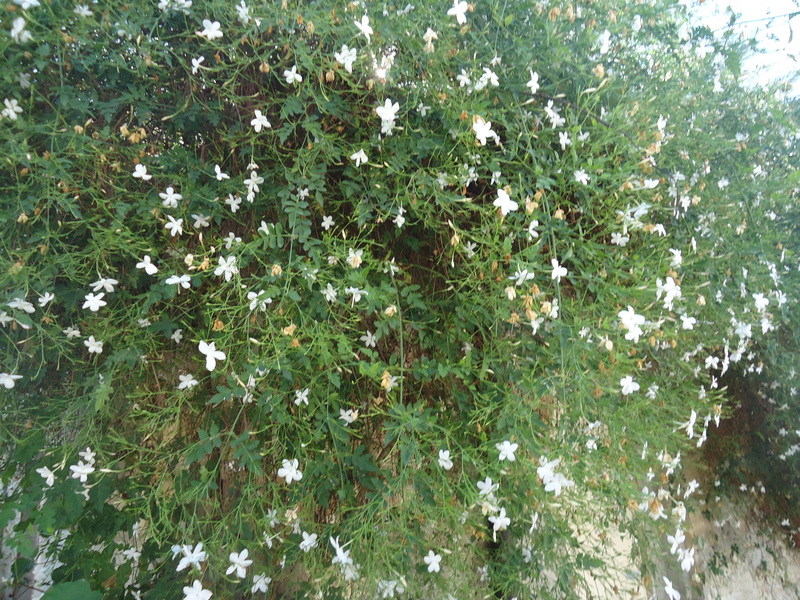 This type of jasmine blooms only for one month in Spring. I hope this information is helpful as you search for a jasmine plant. Thank you so much for all the information. It just confirmed that we are on the same page with this plant. I did a lot of research myself and i also have the same information.I just received my jasmine grandiflorum plant this afternoon and hoping it will survive with care. I appreciate what you did. Thank you again. You are welcome and I wish your jasmine a long healthy life!